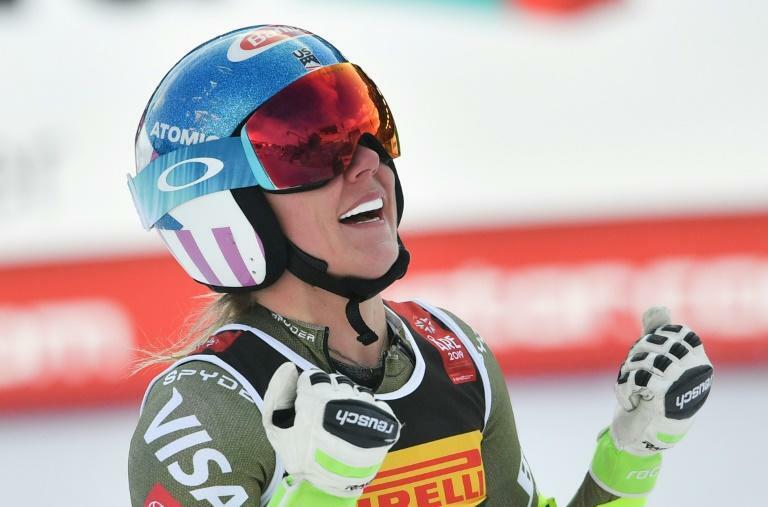 Drama-avoiding Mikaela Shiffrin insisted Tuesday she was not the new face of ski racing following the retirement of US teammate Lindsey Vonn. Vonn bowed out of competitive skiing with a bronze in Sunday's downhill, quickly tapping Shiffrin as one of a handful of skiers capable of filling the sizeable void she would leave. Shiffrin, who left Are to train in Norway over the weekend, thus missing Vonn's farewell, said her teammate's comments had been "really flattering". She added, however, that she had not spoken to Vonn since the downhill. "It's really an honour to have any athlete, especially one of the greatest in our sport, make any comment like that about me," Shifrin said. "It means I've done something right in my career, but it doesn't go much beyond that." It is easy to forget that Shiffrin is just 23 such are the accolades she has already won. She has already claimed three consecutive world slalom titles, is a double Olympic gold medallist and defending two-time World Cup overall champion. She has won 56 times on the World Cup circuit and, fitness and form permitting, seems bound to break all records before her, notably Vonn's female record of 82 World Cup wins and overall record of 20 crystal globes. "I don't feel like I'm the face of skiing," she insisted. "In my own head I'm thinking about what I'm going to have for lunch! "I'm not thinking 'oh, I'm the face of ski racing'." 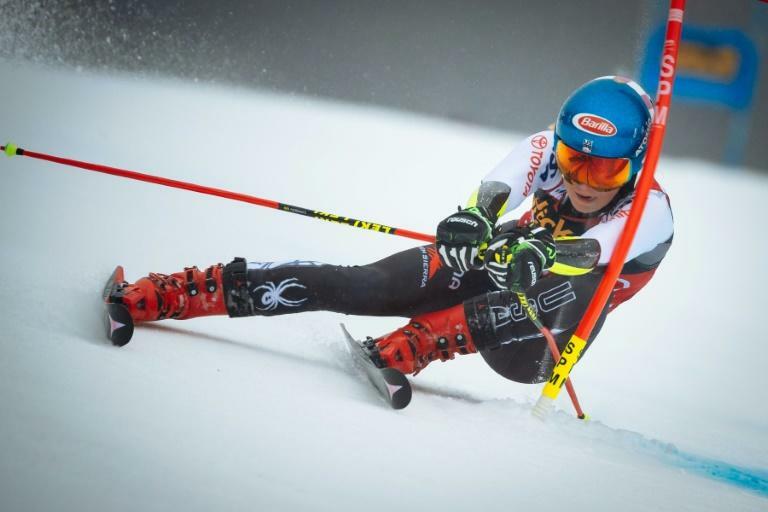 Shiffrin was spurred into launching a long, defensive Instagram post on Friday after Vonn and ex-US racer-turned TV pundit Bode Miller questioned why she was not competing in more races in Are. "I wasn't disappointed," Shiffrin, the only skier -- male or female -- to have won in all six FIS disciplines, said of the pair's comments. "Actually I was really flattered. I was incredibly honoured that two of the greatest athletes in our sport said that they thought I could win in all events. "The reason I made this post was because they both also said they thought essentially that I was wrong in making my decision. "I wanted to explain my decision-making process." Asked whether she had since spoken to Vonn, Shiffrin, who also sat out the combined, said: "I haven't. I think she's been busy travelling home." Vonn bowed out of skiing not only as one of the most successful racers of all time, but also one of the most recognisable sportswomen in the world, bringing considerable stardust to the pistes. But she was a much different animal to Shiffrin, more outgoing and much more at ease in the spotlight. "It's always important to have some show in the sport and there are always some athletes who are able to do that more than others," acknowledged Shiffrin, who described herself as "naturally a fairly introverted personality". "I would like to believe that just being a really kind person and a good athlete and having success is enough to promote the sport, but it's not really. "There needs to be some drama, some excitement, some really big personalities. For me, maybe I'm growing into that, but right now I'm trying as hard as I can to balance my own schedule and ski as well as I can. "My big goal is not to be dramatic but to be in the start gate ready to win, but maybe becoming more of a personality that people want to see."